Today In KISStory - June 15, 1979: KISS kick off the Dynasty Tour at the Lakeland Civic Center in Lakeland, Fla. w/opener Nantucket. The Dynasty Tour, also known as "The Return of Kiss", was the first tour to feature the infamous flying stunt by Gene Simmons. This was also the first tour to feature Ace's "lighted-guitar" and his rocket-shooting guitar, where after his "smoke" spewing guitar solo , the still smoking guitar would float up. As it was floating upward , he would appear with another guitar , aim the neck at the floating guitar , shoot the rockets and blow it up. A trick was designed for Paul that involved him putting on a headset and shooting a laser out of his left eye (to mock the effect seen in Kiss Meets The Phantom Of The Park a year prior). After several run-throughs both Paul and Bill Aucoin nixed the idea, citing the danger involved. 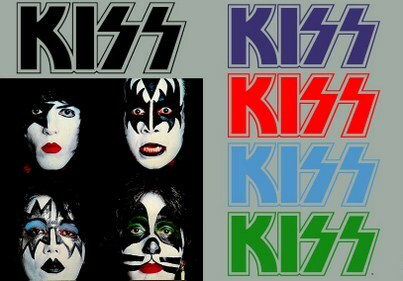 The tour, dubbed "The Return Of Kiss", also saw a decline in audience. Additional dates at Madison Square Garden and the Pontiac Silverdome were cancelled, while an additional night at The Los Angeles Forum was moved to the 10,000-capacity Anaheim Convention Center. This was the last tour with Peter Criss on drums until 1996.